When you choose us, you choose a pharmacy that is committed to helping you manage your health – not just sell you pharmaceutical remedies and medical supplies. Apart from this commitment, we value your time, so we don’t make you wait long to get served. We fill your prescriptions quickly and accurately. With shorter queues and more customers served, each minute is well-spent at E & M Pharmacy. Our pharmacists offer consultation services if you have questions about your medication therapy plan and advise you if there are any drug interactions with your current medication. 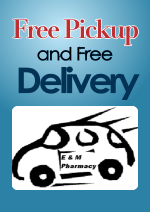 E & M Pharmacy will also provide weekly medication packs (blister packs) upon request. 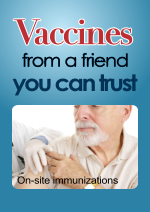 Immunization services and medication therapy management are also available. All these products and services are available at very affordable and reasonable prices from your Neighborhood Pharmacy in Orange, NJ. 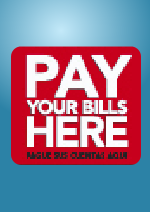 Most importantly, our services are delivered and performed with kindness and enthusiasm by our staff. Visit our online health library to see what’s new in healthcare. For example, teaching kids early how to take care of their teeth is important. This is National Children’s Dental Health Month. 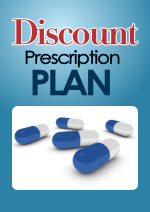 Manufacturer coupons towards your prescription medications. Connect with prescreened and licensed assisted living homes, home care, and hospice providers.